The Conquerors, Slim Smith & The Uniques, Enos McLeod, The Black Brothers, The Inventors and more. 60 minutes of rocksteady love tunes featuring artists like The Conquerors, Enos McLeod, The Heptones, The Tartans, Derrick Morgan, Larry & Alvin, Ken Boothe... 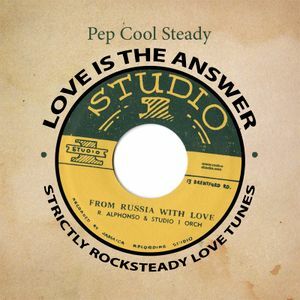 Selected and mixed by Pep Cool Steady (Nyahbingi Sound).